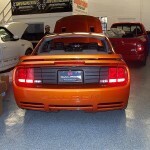 Filmed during the Saleen / Parnelli Jones signature event on March 21, 2007 at Galpin Ford. Auto expert Mark Perleberg of NADAguides.com, a leading U.S. vehicle pricing and information website, recently tested the 2007 Saleen S281 and the 2007 PJ/Saleen Special Edition in a weeklong, side-by-side and back-to-back comparison. And now he weighs in on both cars’ features and handling. Perleberg says the 2007 S281 features more of what all great performance cars need, more horsepower. Up an additional 30 hp from 2006, the S281 now musters up 465 ponies, and according to Perleberg, acceleration that keeps the car’s passengers pinned to the back of their seats when the supercharger kicks in. Along with this power, the car features a race-craft suspension that virtually eliminates the loose rear end feeling you typically find in stock Mustangs, with a confidence the car will go anywhere you point it at high speeds. Perleberg says the 2007 Saleen S281 also features a comfortable day-to-day ride for a car of this nature. Combined with a tail extension, body cladding and an upgraded interior in the mid-$50,000 US price range, Perleberg says the 2007 Saleen S281 has all the makings of a Super Car with the roots of a Mustang. Next up, Perleberg tested the 2007 PJ/Saleen Special Edition, a high-performance 302 cubic inch V8-powered car with 370 hp and 370 ft/lb of torque. Perleberg says the 2007 PJ/Saleen Special Edition is a modern-day rendition of the Boss 302 that raced in the SCCA Trans Am Series in the early 1970s, with less horsepower than its S281 sibling, but it feels quicker due to the normally aspirated engine with a torque that chimes in at 4,000 rpms. “The 2007 PJ/Saleen Special Edition gives you truckloads of pull when you mash the throttle down in any gear,” Perleberg said. Mar. 28–CLINTON — A rare version of an American automotive icon is for sale at a Clinton car dealership. Anderson Ford Mercury has a Parnelli Jones Boss 302 Mustang in its showroom — one of only 500 that specialty vehicle manufacturer Saleen built and released for public sale. 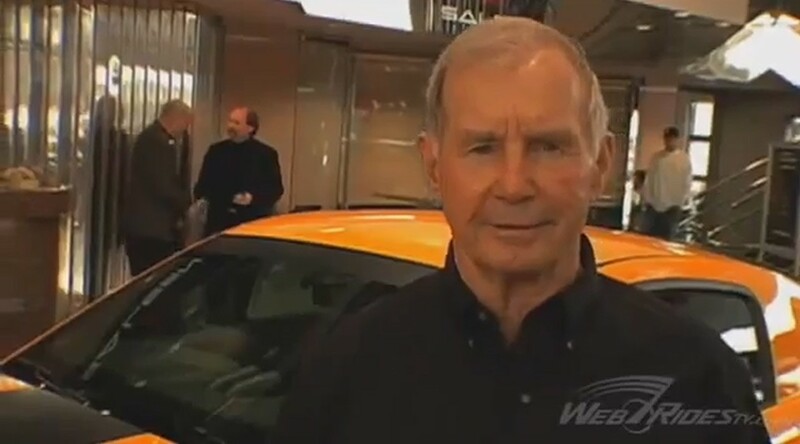 The car honors Parnelli Jones, a legendary race car driver from the 1960s and 1970s. The Central Illinois dealership expects a serious collector eventually will purchase the muscle car for about $60,000, co-owner Randy Anderson said. The dealership received the car last week because of its reputation for selling high performance vehicles and parts, said Anderson. 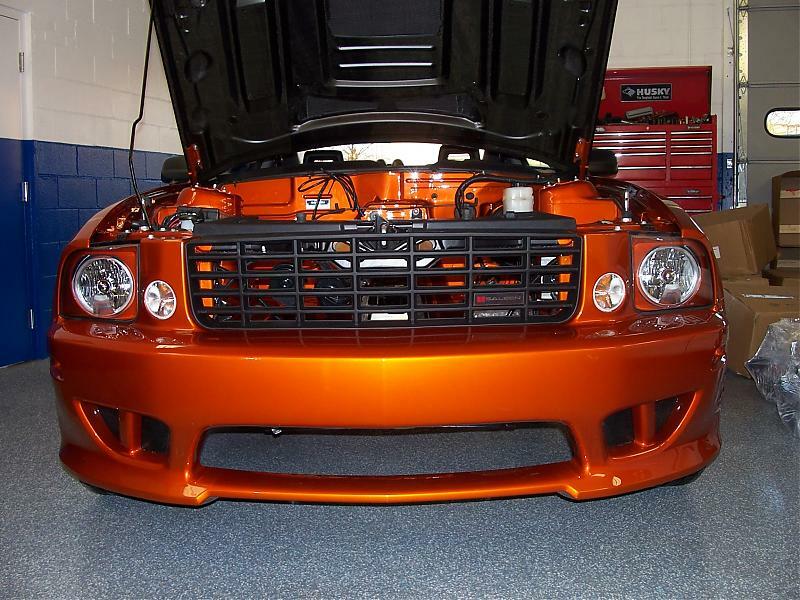 The company’s Anderson Ford Motorsport division specializes in designing and building high performance parts for Mustangs; clients come from throughout the world. Meanwhile, the Boss 302 is an exact replica — but with all new technology — of the Mustang Jones used to win the Trans Am Series racing event in 1970, Anderson said. “It is one of the most breathtaking, gorgeous cars out there right now. It’s a showstopper,” Anderson said. 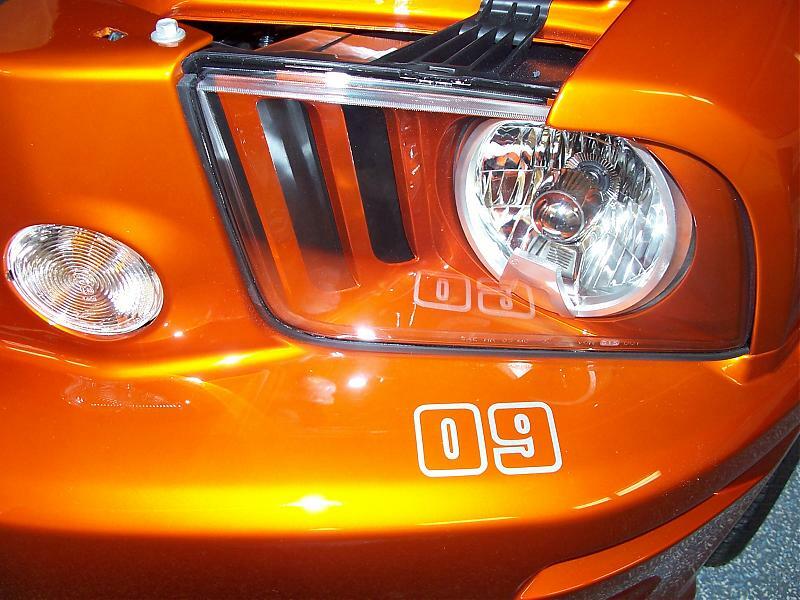 The Mustang’s orange-yellow color makes it stand out, Anderson said. In addition, it has a modified engine with 400 horsepower, customized black and orange leather interior, special breaks for fast stops, as well as a suspension that makes it drive like a go-kart, he said. Mustangs are a popular car right now because people love the look and comfort of the sports car, Anderson said. The dealership’s Mustang sales are up about 30 percent from five years ago. “What has increased the most is the exotic Mustang,” Anderson said. The dealership has 10 of the exotics, including the Shelby GT 500, the Shelby GT, Roush and Saleen, all priced from $30,000 to $60,000, Anderson said. 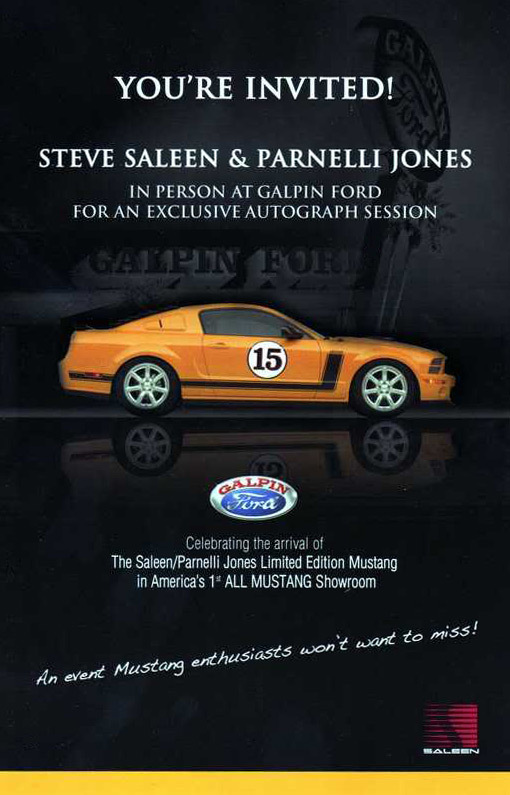 Meet Parnelli Jones and Steve Saleen while viewing the new Saleen/Parnelli Jones S302 Mustang. 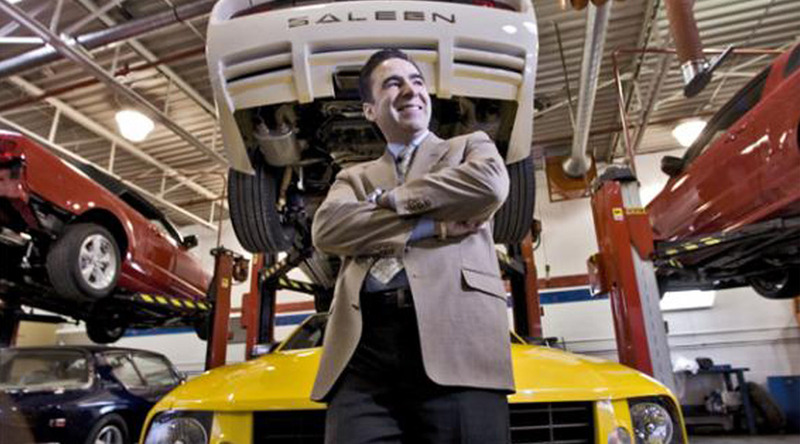 Joe Visconti, president of Saleen Canada could more than double the capacity of its body shop. The Texan Carroll Shelby was the first to discover the Mustang performance potential in 1965. 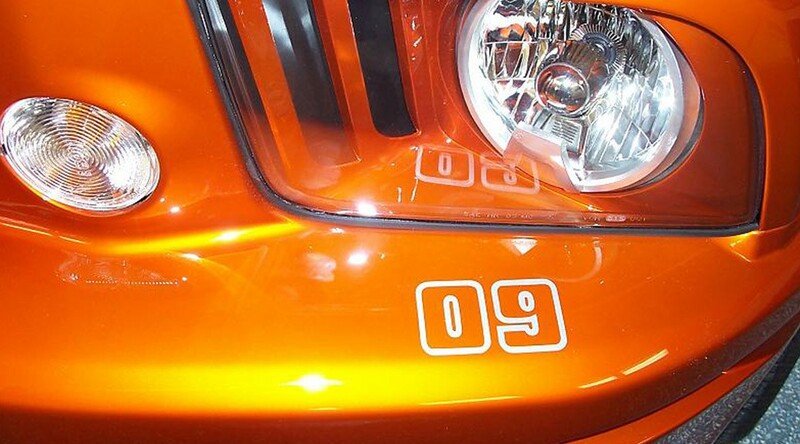 He managed to convince Ford to change versions of high-performance and racing and make marketing. The Californian Steve Saleen took over in the eighties. This wizard automobile could see that there was a demand for its Mustang in Canada, but for Saleen US to import Mustangs that meet Canadian legal requirements and return them to the country once modified, made no sense from the point of economic view. 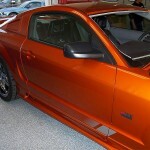 That was when the Montreal Joe Visconti suggested a deal with the transformation of Saleen Mustangs in Canada. It’s trade in exotic cars or luxury, in Dorval, Auto Bugatti, had already established a fine reputation. The American businessman hesitated because he believed in his own team. Mr. Saleen sent his vice president Fred Blum to Auto Bugatti. 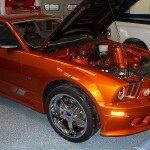 What Blum saw in the body shops of the Quebec company surprised him so much that he advised Saleen to trust Joe Visconti even mentioning that their work would be higher than Californian workshops. Ford of Canada Joe Visconti helped to build a network of a dozen Ford dealers to display the Saleen product. 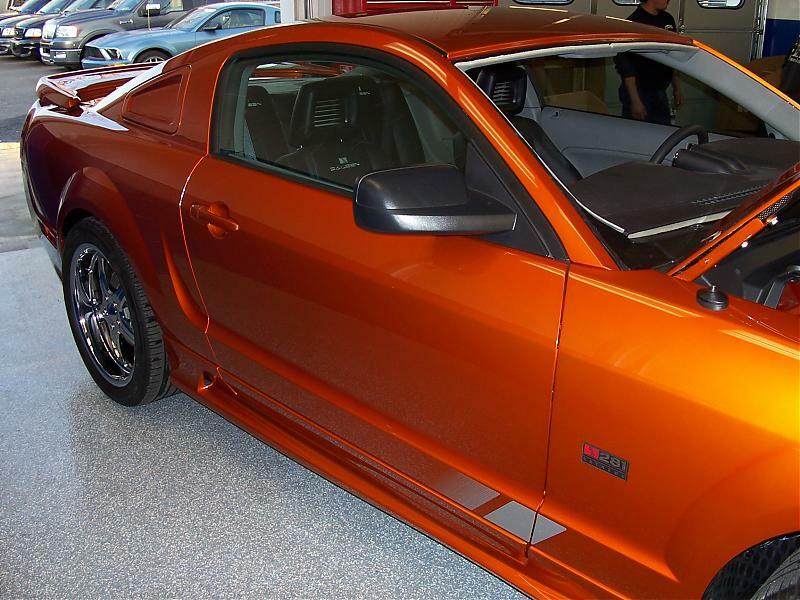 In the first year, Saleen Canada found 27 buyers of S-281 Mustangs, quite a feat for a great car. In 2006, forty brand new enthusiasts have ordered their Canadian Saleen, but Mr. Visconti expects that it will need to build 80 to 100 next year. This increase in production is due to the arrival of another vehicle within the Saleen range, the S-331. This is a pickup based on the Ford F-150. 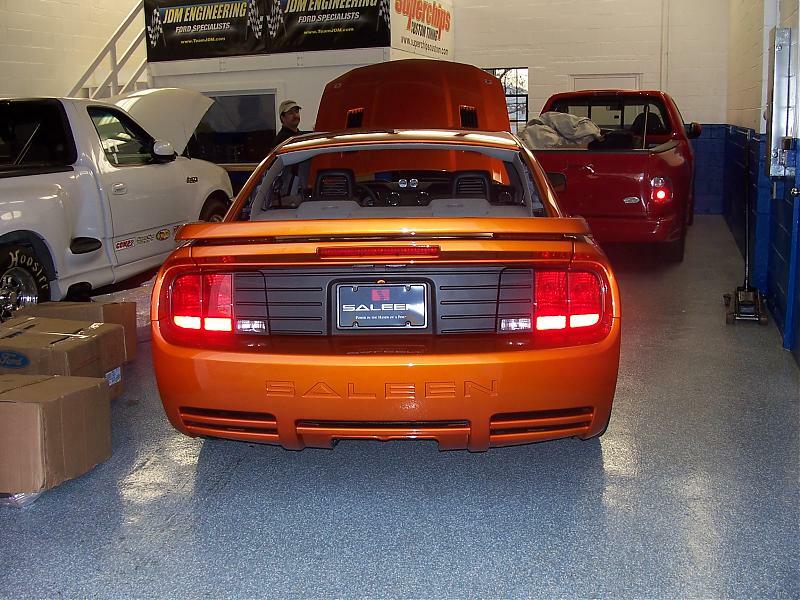 Saleen Canada workshops have had to work extra hard to build their copy, just in time for the Auto Show in Montreal. The truck had quite a success there and the manufacturer has twenty firm orders for the S-331, available in a basic version with 325 horsepower V8 ($59,000 USD) or supercharged 450 horsepower ($69,000 USD). Incidentally, the Saleen S-281-based 335 horsepower has a base price of $58,000, while the supercharged 465 horsepower Supercharged starts at $68,000. These vehicles come in their original form to Dorval workshops where Saleen Canada technicians start by changing the mechanical (different suspension, souped, redesigned exhausts) before moving on to the body shop where the original bumpers are replaced by Saleen parts. 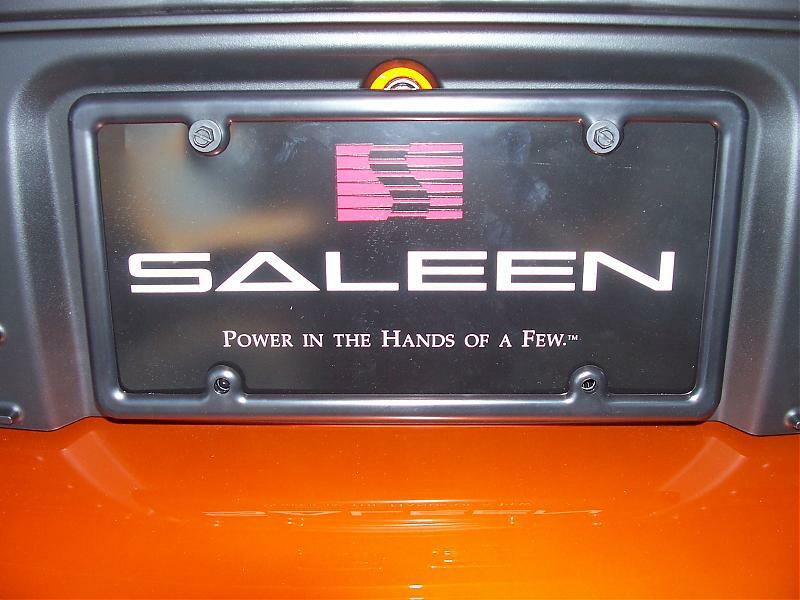 The instrumentation and several interior details are also replaced by parts from Saleen. Wheels and original tires are replaced with performance parts. The Saleen body shop is already busy despite its 12,000 square feet of surface. It can modified a dozen cars a day, a capacity that could double. But Mr. Visconti believes that it will not be sufficient (they are also repairing luxury cars). 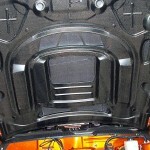 Of the thirty people who work at Auto Bugatti / Saleen Canada, fifteen are assigned to the body and the exterior finish. There is even a program to accept individual customer cars who want to turn their Mustang GT into a Saleen, if only partially. You could count the American racers with the credentials of Parnelli Jones on one hand (assuming no band saw accidents): Dan Gurney, Mario Andretti, A.J. Foyt and Carroll Shelby. They are an elite bunch, with championships in diverse arenas as well as enough engineering smarts to start their own car companies, which a couple of them did. It’s not necessary to review Jones’ accomplishments, but just in case you were born in the video-game age, here we go: He won the Indy 500 in 1963 in a car called “Old Calhoun” and almost won it again in 1967 in that whooshing-cool turbine car; won the Trans-Am championship back in 1970 when it was a bigger deal than NASCAR, by only a single point over the formidable Mark Donohue; won the Baja 1000 twice in that wild “Big Oly” Bronco with the huge wing on top; and took a class win at Pikes Peak in 1963 driving a Mercury stock car. That’s in addition to numerous sprint car titles, USAC championships and a career begun as a jalopy driver on the dirt tracks of Southern California. He was even more successful as a team owner with business partner Vel Miletich, winning 53 Indy car races and the Indy 500 twice with Al Unser driving. He ran his own Formula One team from 1974 to 1976. 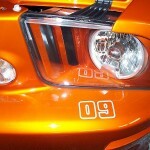 So last year, when Jones inquired at Saleen about getting his personal 1970 Mustang repainted, it wasn’t like just your average 5.0 reader had wandered into Saleen Inc.
Steve Saleen, meanwhile, is no slouch, with a long racing resume of his own that includes nine championships and an even longer carbuilding CV, first as a “tuner” (a word Saleen now abhors), then as an increasingly bigger manufacturer of everything from S281 Saleen Mustangs to Ford GTs and the all-conquering street-blaster twin-turbo S7. So when these two automotive forces came together, they almost had to produce more than just paint. Long story short, since we only have two pages, they made the Mustang you see here, a car inspired by Jones’ Trans-Am championship-winning Boss 302 of 1970. The cosmetics are just the beginning. That motor starts as a 4.6-liter modular three-valve sohc V8. Saleen strokes and bores it to 5.0 liters, adds 24 pounds/hour injectors, ported aluminum heads, performance camshafts and dual exhausts. The engine management is recalibrated to make the most of those improvements, and then the stock internal parts are replaced with forged-aluminum pistons, forged-steel con rods and a forged-steel crank so the whole thing doesn’t blow up. “That’s an honest blueprinted engine with 400 hp and 390 lb-ft,” Jones added. The transmission is a five-speed manual with a short-throw shifter routed to an 8.8-inch differential with a 3.73 final drive. To get all the power to the ground and be able to drive around a corner with it, the Saleen crew went to work on the suspension. The heart of the setup is the Watts linkage in the rear, which replaces the Panhard rod found in the stock ‘Stang. “A Panhard rod works well for NASCAR where you’re always going left, but it’s not real good for going over bumps and transitioning,” said Bill Tally, vp of engineering at Saleen. While the Parnelli/Saleen rear is still built around a solid-beam axle (an IRS would have been too complicated and expensive), it is kept on the ground by two cleverly placed Watts links on each side, swiveling from outboard body mounts directly onto the back plate of the diff. It allowed a stiffer rear antiroll bar and a generally stiffer setup without any great compromise to ride quality. The rest of the setup includes RaceCraft Suspension pieces like stiffer springs, shocks and bushings front and rear, none of which is shared with any other Saleen Mustang. We drove a short route with Jones himself over the twisting hills of the Palos Verdes Peninsula where he lives. 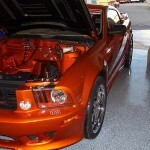 The car is smoothly improved over the stock ‘Stang in every department. You feel the extra power and torque, naturally, but you also get much better steering feel and quicker cornering. The whole thing works together well; it’s not like a crude aftermarket setup with a monster blower and no brakes. Your checkbook better be exceptionally balanced if you want to buy one, though, since the price is $59,015. There will be only 500 made, and more than half of those are already ordered. 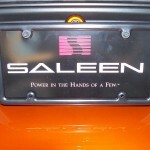 If you want one, you’d better log onto www.saleen.com pronto. Or maybe there’s no rush. Saleen points out that Jones’ teammate on that 1970 Trans-Am team was George Follmer, who drove an almost identical Boss 302 Mustang and has indicated he is not averse to a commemorative Mustang of his own. So you never know. From Jim D’Amore III and our friends at JDM Engineering in Freehold, NJ. Saleen Special Vehicles of Troy Michigan under guidance from General Manager Bryan Chambers recently completed a repaint and re-body of last years JDM race car. The venerable Ford Mustang is an unusual car — a throwback to the simpler ’60s’, when gas prices were low and horsepower high. It has endured, even prospered, virtually unchallenged domestically — arch-rivals Chevrolet and Dodge have nothing that competes with this icon. You can get it from mild to wild — a 210-h.p V-6 or a ground-pounding 550- h.p supercharged V-8. There is one for every budget, from $24,099 for a base coupe to $83,000 for a Saleen Mustang. I drove a relatively bare-bones Mustang coupe, to see what sort of value you get when your budget comes up against your desire for fun. 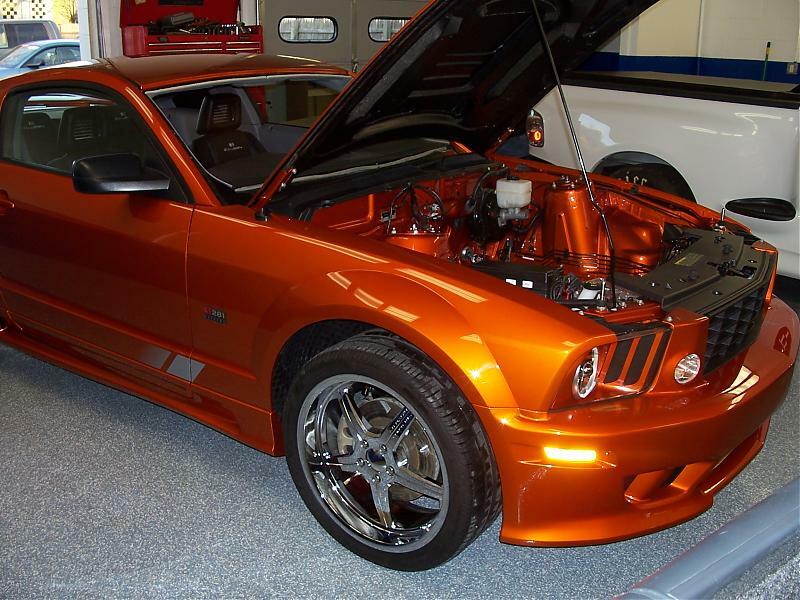 For $24,099, the 2007 Mustang comes equipped with a four-litre V-6 engine that produces 210 h.p and 240 lb-ft of torque. This engine is mated to a five-speed manual transmission. Power steering, keyless entry, air-conditioning, four-wheel disc brakes, power windows and cruise control rounds out the standard equipment you get at this price. The fun starts when you turn the key. The burble from the engine is music to the ears of anybody who has driven an honest-to-goodness muscle car. Sure, the engine is two cylinders and 100 horsepower shy for most power-hungry drivers, but it makes the most wonderful sounds. It is smooth, too, going up to 5,000 r.p.m without complaint. Drop the clutch and the tires either chirp or squeal — your right foot controls the volume and length of the sound. Straight-line acceleration is the Mustang’s forte. Cornering should be taken with a bit more thought. The Mustang’s centre of gravity feels higher than most sporty models, imparting greater lean in a corner. The tester was shod with optional 235/55R17 tires and gave good road feel. Still, caution should be exercised as the solid rear end shows its lack of sophistication by losing traction at higher cornering speeds. The Mustang has traction control, a feature that allows drivers to put the pedal to the metal while the car’s computers work to keep the vehicle going in a straight line. The car detects loss of traction in a wheel and will reduce power, apply brakes or both to keep the rubber rolling. The benefit is that it will try to keep you from sliding into the weeds. Feeling brave? You can turn the system off — a nice touch for the enthusiast driver who still likes to hear the squealing of tires and feel the back end sliding out under full throttle acceleration. Did I say it was fun? The anti-lock brakes are up to the task of halting the Mustang, with secure stops and no drama. The manual transmission is the Achilles heel of the Mustang. It’s the clunkiest manual I have driven in a long time. It takes a hard push to get it into first gear and reverse is no better. Shifts were decent but I can’t see any but the most macho drivers liking it. The transmission gearing is good for both acceleration and leisurely cruising, with 100 km on the highway seeing the engine loafing at low 1,800 r.p.m. Driven moderately the Mustang’s fuel economy numbers are decent and comparable with conventional people movers, at 12.3 litres per 100 kilometres in the city and 7.7 on the highway. Occupants with larger frames will be happy in the Mustang’s power seats. Generous arm room, adjustable seat height and a long seat travel all serve to make happy front occupants — even tall and wide ones. The rear seats are really meant for occasional use by youngsters. 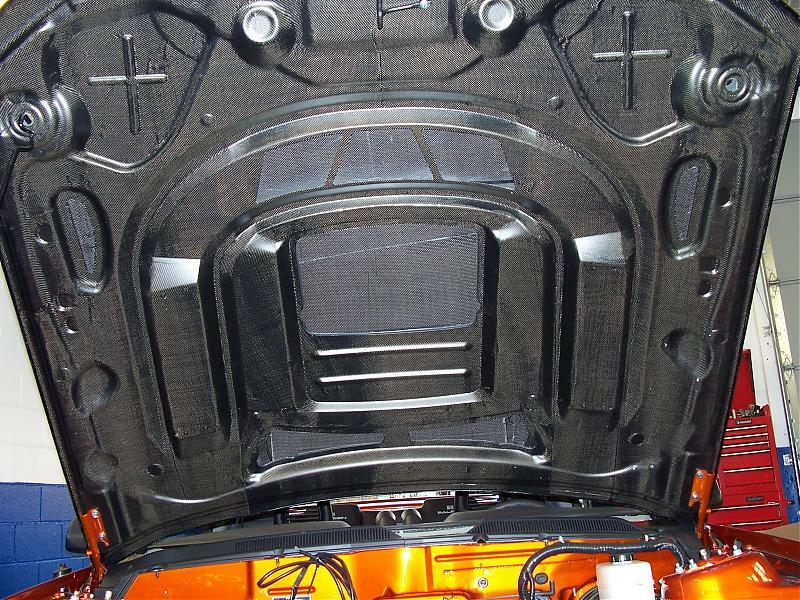 A 50/50 fold-down rear seat allows access to the modest trunk. The interior fit and finish is as good as I have seen in a North American car. The imports seem to be able to make a piece of plastic look better but Ford is catching up in this field. The optional leather seats added an up-market feel. Visibility is very good all round, surprisingly so out the back despite the rear spoiler. The instruments are tucked in twin binnacles. They are dimly lit and made worse when wearing sunglasses. The optional chrome bezels around them and the dash air outlets are attractive in the otherwise matte black dashboard. Retained accessory power and one-touch power windows are nice items at this price. Twin airbags are standard but side air-bags are a $500 option. The front seatbelts are a long reach over the shoulder. Rear seat headrests are low. The new Mustang, going on its 43rd year, shows how a sports car can age gracefully. While the V-6 model might pale in comparison — performance wise — to its more powerful brethren, it more than makes it up by an affordable price, decent fuel mileage and a high fun quotient, especially with the manual transmission. Steve Saleen, founder of Ford tuner Saleen Inc, says he recently spoke with new Ford CEO Alan Mullally, who said the 2009 Mustang will not be a complete redesign, but more a facelift of the existing model. The overall body shape is expected to stay the same, but the front and rear should see extensive reworking to keep things fresh. Mustang fans must also be hoping the car will finally get the independent rear suspension it deserves, something its GM and DCX competitors already have. “You stay the course, and no matter what comes you have to do that,” says the 37-year-old automobile fanatic, who met the previous owner through a mutual love of high performance Saleen Mustangs. Even so, Bertling turned to an unlikely source of help, the Women’s Business Center of Iowa, when he had the chance to buy the retail tire and automotive service franchise from his former boss. While the Women’s Business Center of Iowa was itself on the verge of closing last year, President Joni Thornton guided Bertling through preparation of a two-year business plan, financial projections, and a verbal presentation to lenders for financing. “Joni took it out of my head and put it into words, to where it was presentable to the Tires Plus franchise, the tire distributors and the bankers,” Bertling said. Bertling said Thornton even got him to control his usual habit of conversational rambling, so that bankers got the information they needed without the sales pitch. The outcome was a loan that enabled Bertling in March to convert the opportunity into his longtime dream of owning an automotive business. He hopes to open at least one or two more Tires Plus stores in the future. Thornton and the Women’s Business Center have taken the same advice — “believe in yourself” and “keep the vision” — to heart in recent months. Struggling financially, the center closed its office at 136 36th St. Dr. NE in September. Thornton, who’d overseen the center since 1998, had been paying some of the non-profit operation’s bills from her own pocket for years just to keep the doors open. Thornton planned to find another job in the lending or startup assistance area. Eventually, she could not give up the center. After seeing clients at her home for a month or two, Thornton reopened the center this month in a much smaller space at the APAC Building, 425 Second St. SE. She plans to redouble efforts to secure funds for the center from the state and federal government. Thornton is working with two startups in Iowa City and two in Cedar Rapids, hoping they too will find the satisfaction that Bertling has found. Bertling was impressed that Thornton could see the potential in his business ideas without even visiting the business he planned to buy. “She goes by her instincts,” said Bertling, whose mother connected him with the center. Despite its name, the center is not limited to assisting female entrepreneurs, a fact Thornton plans to emphasize more clearly in the future. She says the center got its start at a time when it was harder for entrepreneurial women to get lenders to take them seriously. The center now answers its phone with “Business Center of Iowa,” a name it has registered with the state. Bertling says that making a success of the Coralville Tires Plus, which has been trailing its peers in nearby cities, will help him leave behind a transient life of operating other people’s automotive businesses and settle down.